Suitable for mixing and grinding common and special materials. Ceramic ball mill is chiefly used for the mixing and grinding of materials, which can be used in not only dry grinding but also wet grinding. The fineness of the final products is uniform with power saving. The ball mill can adopt different lining board types to satisfy different needs of the customers according to the production. The fineness of the grinding operation is controlled automatically depending on the grinding time. The electric motor is started to reduce initial firing current since pressure reduction, including integral and separate structure. The ceramic ball mill is characterized by its small investment, new structure, easy operation, safety in use, reliable performance, which is more energy saving than other similar products. It is applicable to mixture of general and special material and grinding operation. User could choose the proper type and line, media material depend on material ratio, rigidity and output, etc. 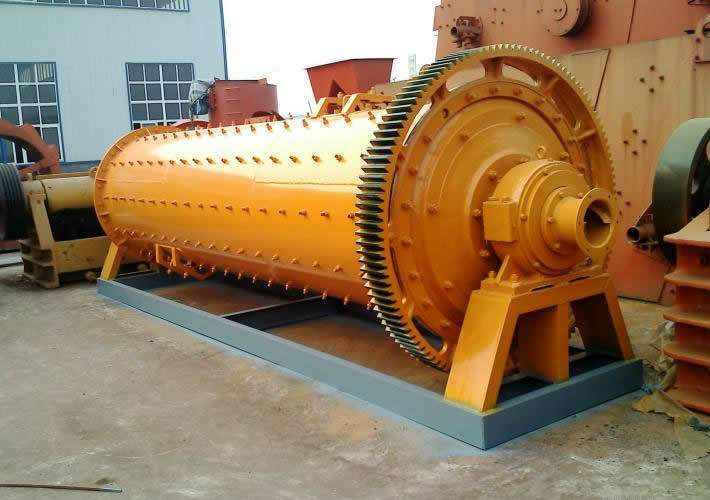 Ceramic ball mill is a horizontal cylinder rotary device which consists of feeding part, discharging part, rotary part and driving part, including reducer, small drive gear, electrical machine and electronic control. The hollow shaft adapts steel casting, and the inner lining can be dismantled and changed while the rotary rack wheel uses casting gear hobbing. The electro motor drives the cylinder for rotation by reduction gears while wheel reducer with peripheral rack transmission or the low speed synchronous motor directly drives the cylinder to rotate by the peripheral rack wheel reducer transmission. The crushed ore and steel rod inside the cylinder can be thrown and rushed down to a certain height under the eccentric force and frictional force as a result of action of gravity. Crushed ores are discharged from cylinder through discharging part. The ground materials continuously go into the cylinder from the ore feeding mouth and crushed by the moving grinding media. The feeding machine continuously and evenly feeds materials, and the ores will continuously and evenly go into the ball mill through the joint feeding machine, and the ground materials will be continuously discharged from Chinaware ball mill. For this reason, Chinaware ball mill is a powder grinding machine that can continuously work for 24 hours every day.